“The only party that has ever accused me of ever being ‘affiliated’ with anything is Chinese state-run media,” Lin said. Lin says that she has spoken to media outlets all around the world, including the The New York Times, The Wall-Street Journal, the BBC, and the Canadian National Broadcaster, and has never encountered the issue of censorship. “This is the first time in the free world I have ever been censored,” Lin told Business Insider. An ABC spokesperson said the interview was cancelled due to operational reasons. The broadcaster queried if the word “affiliation” was used, and said if it had been used, it would have been unintentional, reported the Business Insider. “[I]nterview line-ups for The World are subject to frequent change, for all manner of reasons. In this case, we did not have enough time in [the] program to be able to properly address all the issues involved in this topic, due to the need to cover breaking news on the protests and political changes in Jordan and the accusations that Facebook allowed Huawei to access users’ data,” the spokesperson told Business Insider. Lin made headlines in 2015 when she won the Miss World Canada title on a platform centred on promoting human rights in China. But she was barred by the Chinese regime from attending the finals that were to he held that year in Hainan, China. 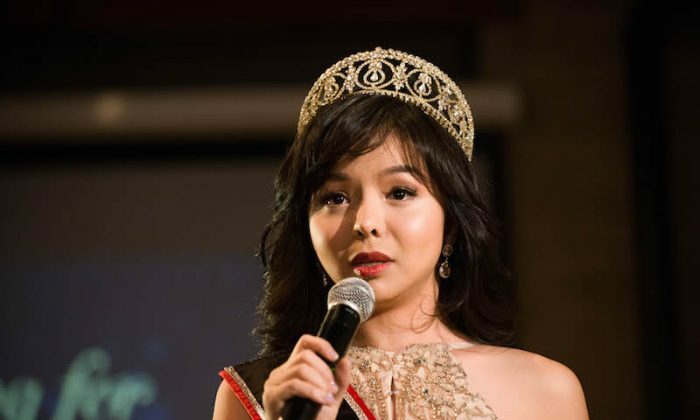 The former beauty queen says that the Chinese Communist Party (CCP) has attempted to pressure her into silence by harassing and threatening her family members in China. She says police routinely visit her father and grandparents, and also pressure them to persuade Lin to stop her advocacy work. Lin gave evidence in federal parliament today about the crimes of live organ harvesting in China. A parliamentary committee is inquiring into whether Australia’s organ trafficking laws should be extended to prohibit citizens from travelling overseas for unethical transplants. Human rights advocates have called into question the source of organs that have been used by China’s organ transplant system, which the CCP maintains have come from voluntary donors since 2015, and previously from executed prisoners. Investigators have also said that transplants from voluntary donations and executed prisoners can nowhere explain the total number of organ transplants that occur in China. They conclude that organs are forcibly removed from prisoners of conscience, primarily Falun Gong practitioners who have been targeted by the CCP for elimination. Lin also spoke at the NSW Parliament June 7 about how the CCP has, under the guise of language education, used Confucius Institutes (CIs) to exert soft power and spread its propaganda overseas, including in Canada as explored in the documentary In The Name of Confucius. The film follows the story of a former CI teacher, Sonia Zhao, whose defection to Canada and discrimination complaint led to the closure of the CI at McMaster’s University. The NSW government is currently reviewing the Confucius Classroom program embedded in 13 public schools, due to concerns of inappropriate foreign influence.